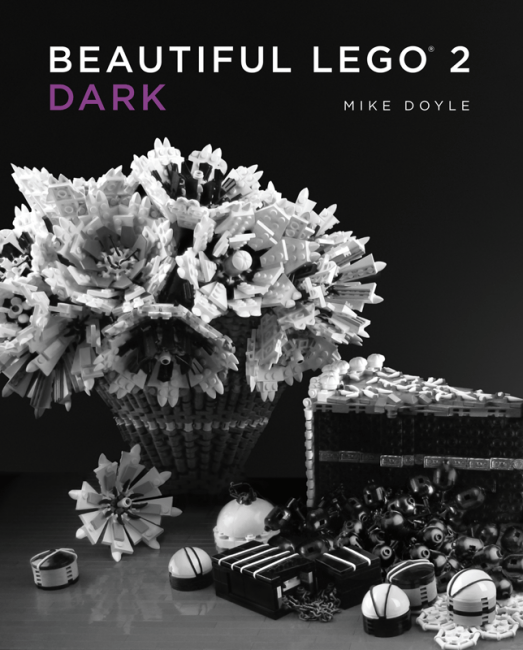 Beautiful LEGO 2: Dark is the sequel to Mike Doyle’s Beautiful LEGO. I thoroughly enjoyed the first volume and the second is just as high quality. 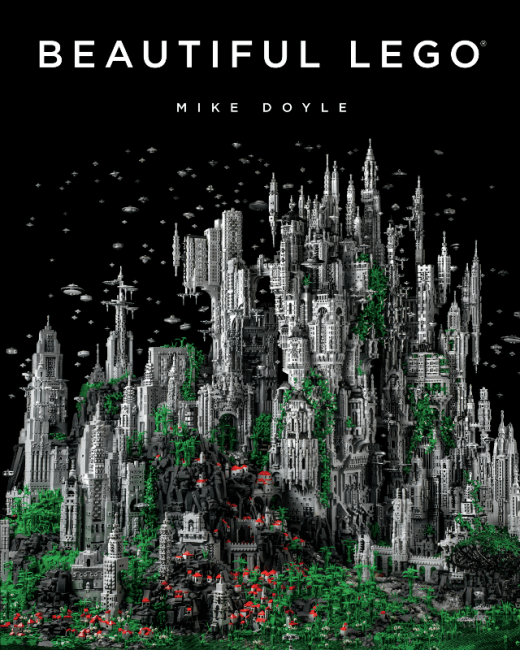 When I read the first volume, I was in the presence of young children who were entranced by the pictures and made me turn through all the pages multiple times. There were images that they considered too scary. In that first book, such images were few and far between. As you can imagine from the subtitle “Dark”, there’s a lot more disturbing stuff in this volume. I wouldn’t recommend letting young children see many of the creations featured in this book. The editor explores various meanings of the word “dark”, from the literal (models of the ocean and places that get no sunlight, or models of silhouettes), to creepy (bugs, insects), to violent/horrific (zombies, a crawling baby devil). Some of the models I would not have thought as belonging to the Dark theme (such as the trains or the buildings), but the chapter titles (i.e. “The Robber Barons” for the trains, “Greed Co., Unlimited” for the buildings) frame the models and give them a gritty and dark connotation. I was disgusted, creeped out, and generally unnerved from many of the creations on display. I let out an audible ‘ugh’ of disgust upon seeing Hatchery (p. 3), and got shivers down my spine upon seeing Jason Ruff’s Big Hairy Spider (p. 25). The aforementioned devil baby (Junior, by Ekow Nimako, p. 194) also gave me the creeps. 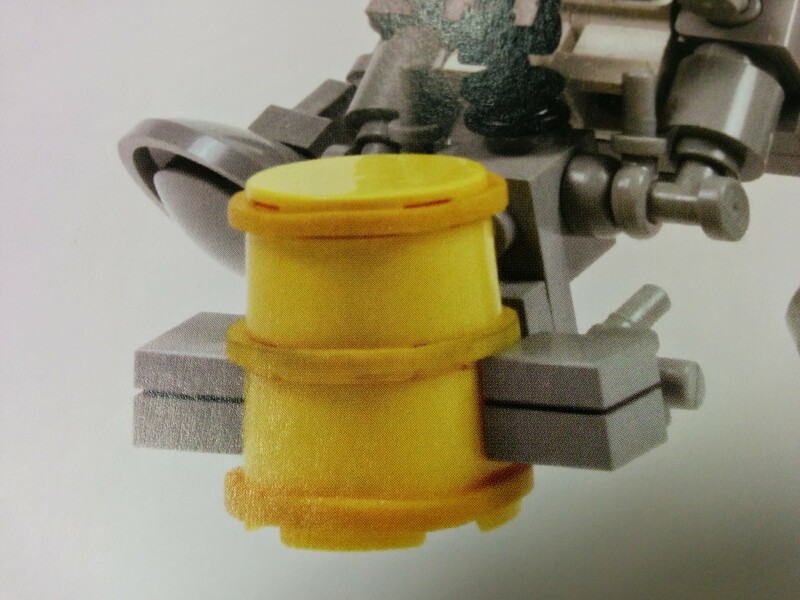 If the first volume asked the question, “Can LEGO be art”, then the emotions that these photos of plastic toys elicited in me is a strong argument in the affirmative. That’s not to say that this book is unenjoyable. I was consistently impressed by the quality of the models. Some of my favorites were the Tyranosaurus rex by Ken Ito (p. 114), the wonderful depth of field and leading lines of Tim Goddard’s “Tunnel Vision” (p. 79), the incredible scaly underbelly of the sea monster in Lauchlan Toal’s “Guardian of the Emerald” (p. 92), the “Micro Bone Dragon” by Sean and Steph Mayo (p. 111). Finally, I have to recognize “The King in Yellow“, by Brian Kescenovitz (p. 318). This is a brilliant minimalist scene featuring a king on his throne; the king himself consists of maybe 4 pieces. 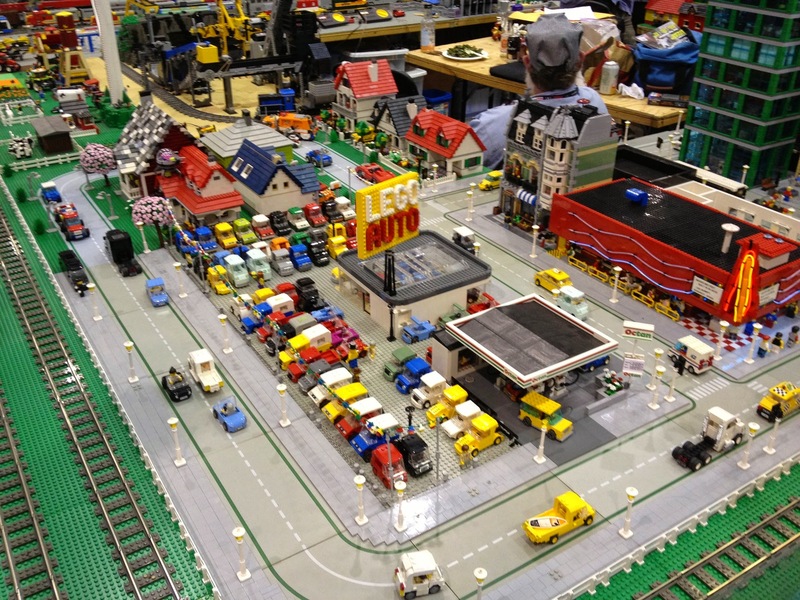 It’s absolutely wonderful, and a far cry from some of the models that are made of thousands of pieces. The restraint required in such a model is wonderful to see. Just as in the last book, the backgrounds of the images have been digitally replaced to have beautiful gradient backgrounds. While all of the models are terrific, there are the same problems that plagued the last book, which is that some of the photographs are of low resolution (for instance, you can see jagged pixelated edges in “Jones’s Addiction” by Cole Blaq on page 72). If the rest of the photographs and production quality weren’t of such high quality, I probably would not have noticed these issues. 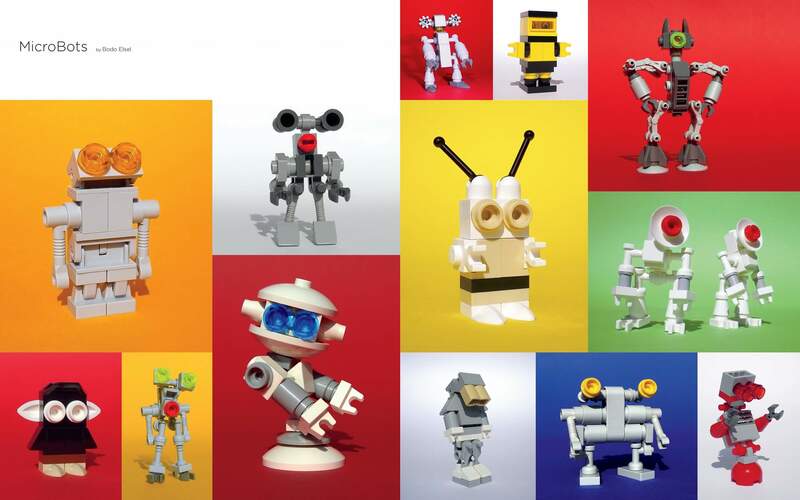 Finally, some LEGO purists might be upset at the inclusion of digital renderings of some creations. I did not have any problem with it, and in fact I mistook some photographs for renderings (the hairy spider for one). There are only a handful of renderings within the 300+ pages of the book if it matters to you. 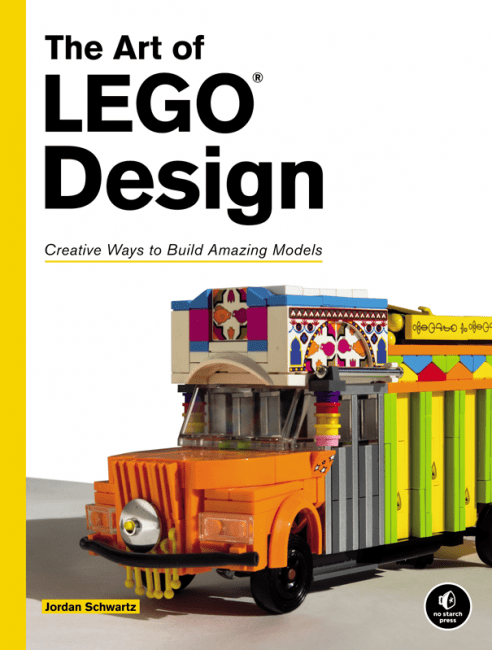 This book is a must have for LEGO fans. It does have some disturbing content in it, so I would not recommend buying it for young children. Disclaimer: I received a free review copy of this book from its publisher, No Starch Press. The central conceit of the book is that it is the journal of the Queen’s Chronicler of Technology, who “…ventures around the world and reports on exciting developments in the Sciences and their potential for civilian and military applications” (p. viii). This provides an excuse for the book to jump between many different themes of models. I am not an enormous steampunk fan, but I do like the art style and admire the craft and artistry that goes into these LEGO creations. I was afraid that the models would all be drab brown and grey, with some copper tubes and gears shoved on almost as an afterthought, but I was pleasantly surprised. 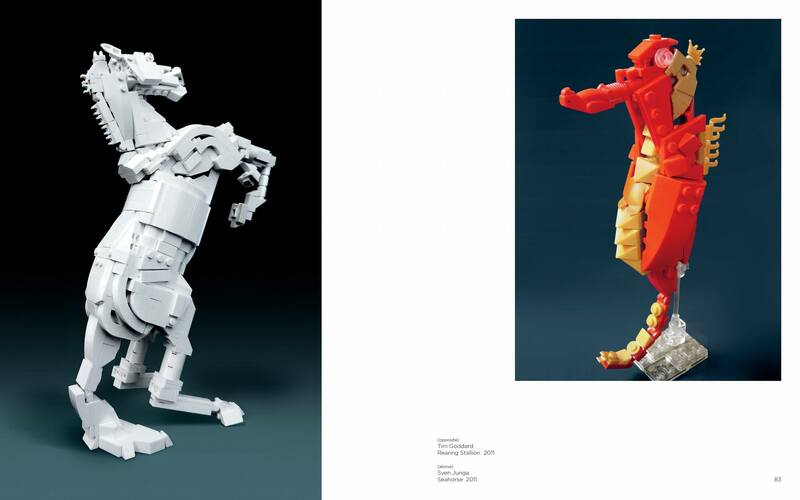 There is a huge variety in the models, both in the subject matter (the book ranges from trains and tanks, to bicycles, to robots, to mechanical animals, and even to space ships) and building technique. While many of the models do stick to the standard color palette of grey, brown and copper, there are some great splashes of color throughout. For instance, Machine No. 1 by Vincent Gachod on p.44 is a beautiful green and grey steam powered automobile; Kaptain Kazoodle and the Travelling Circus of Doom by Nathan Proudlove (p. 61) is a strange insect like train with brown and teal and stark white. A robotic butler (p. 72) has a nice splash of purple. The section on the Seven Seas, featuring many ships and submarines, illustrates how different builders approach their subject matter. The contrast between Ruben Ras’ studs-out submarine (“Dr. 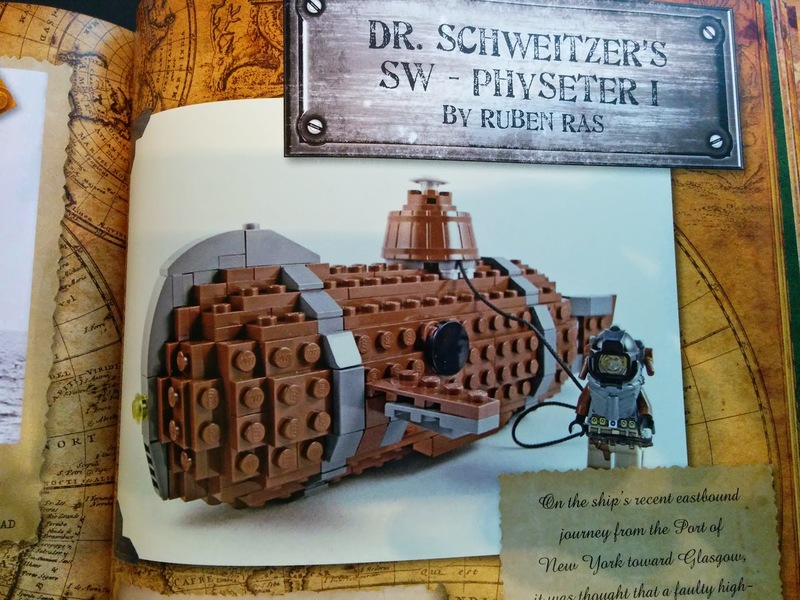 Schweitzer’s SW – Physeter I”) built using the Lowell Sphere technique on p. 123 and the completely hidden stud technique using tiles and barrels (“O’Neill’s Mini Submarine” by Rod Gillies) on p. 124 is striking. 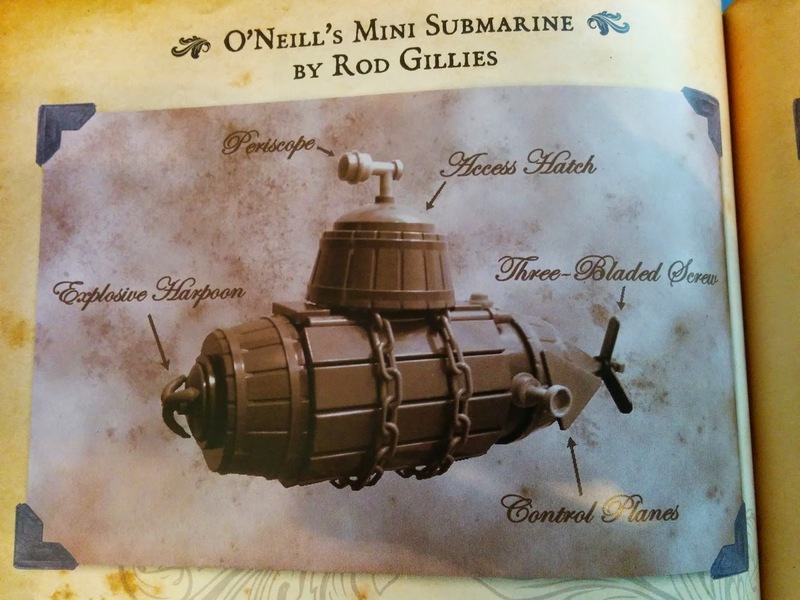 Many of the models in this book are references to something else, or recreations of something famous in the steampunk style. For instance, the submarine I just mentioned, “Dr. Schweitzer’s SW – Physeter I” is actually an allusion to a sperm whale (Physeter macrocephalus), as I discovered when trying to search for a picture of the model. Other examples are much more obvious, such as J. Abba’s Luxury Air Barge, by Amado C. Pinlac (p. 142), which is a clear recreation of Jabba the Hutt’s ship in Return of the Jedi, or Baron Von Batten’s Train by Lazlo Kissimon (p. 7), which is a take on the Batmobile from the Batman universe. 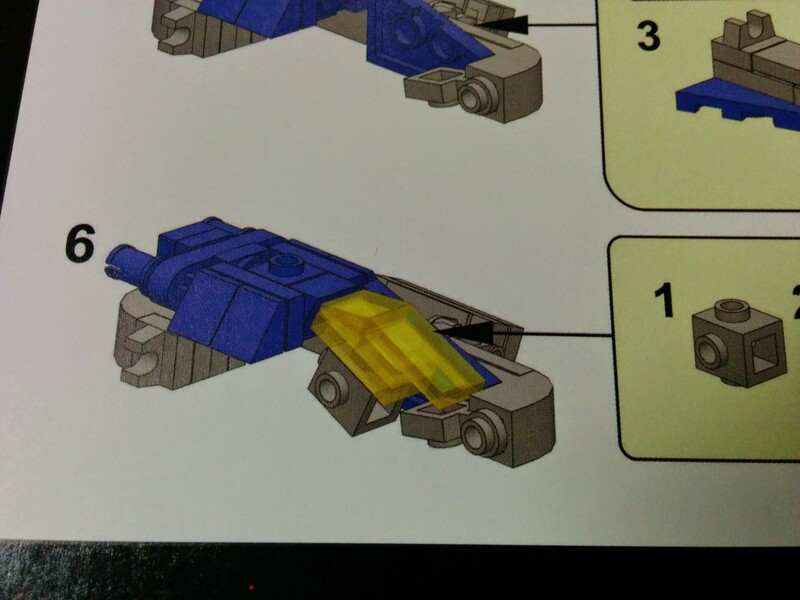 I preferred when these little references and nods were sprinkled throughout the book; when we get to the section on space, virtually every model is a recreation of a Star Wars vehicle (i.e. the Letter-Wing Fighter by Larry Lars, p. 180 is a recreation of the Y-Wing) or some other popular sci-fi show (Steam Viper, p. 183 looks to me like a take on the Vipers from Battlestar Galactica). That section felt a little weak to me as a result. The other low point for me is the section entitled “Cabinet of Curiosities”. The fictional journalist details finding an ark containing “a wonderful collection of photographs depicting a great many items both mysterious and fabulous, but no description or mention of how the strange cabinet had functioned or what arcane magicks had powered it and its thirst for artifacts.” (p. 103). That whole section is full of various artifacts throughout history, such as a joystick, a child’s wagon, a microscope, and a micro-scale Hogwart’s castle. I felt that there was little rhyme or reason to this section, and that it did not fit at all with the theme of the rest of the book. Other than these minor complaints, there is a lot to like. The section on robots and automatons is wonderful. Many of these models break far out of the staid grey/brown/copper color scheme. For instance, Sir Biggles by Théo Bonner (p. 72) is a model of a robot butler which uses inverted tires wrapped around parts of the model to form striking contrast with the metal colors underneath. The Queen’s Hammer by Hammerstein NWC (p. 73) is a great mech with brilliant red and gold pieces and a bright green face plate. 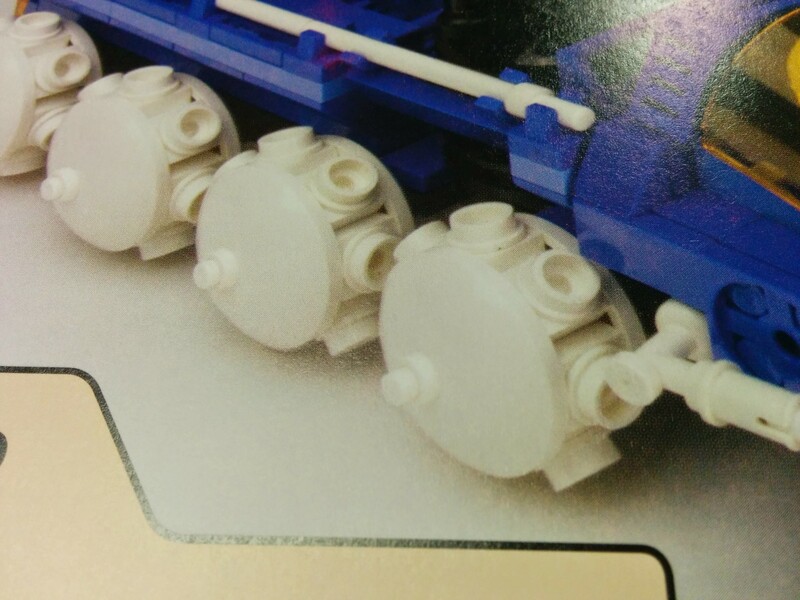 Steam rises from the boiler on its back, as it does in many of the models. A cannon forms the weapon on one arm, where a laser rifle would normally be expected from such a model. In addition to the great models, I was pleasantly surprised by the quality of the author’s prose. 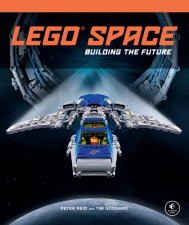 I’ve complained about lackluster story and writing in such other LEGO books as LEGO Space: Building the Future, so I was happy to see the quality in this one. 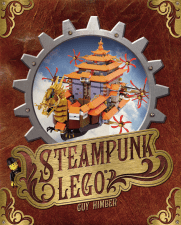 I heartily recommend this book to LEGO fans, even those without a passion for steampunk.